Learn to Roll – Improve your roll – Develop a bomb-proof roll. A visual approach to learning to roll a kayak or developing a ‘bomb-proof’ rough water roll. Rolling is learnt by working through a sequence of exercises to allow the learner to ‘feel’ what is required. I remember my first roll. It was on the river Tawe in South Wales. I actually pushed off the bottom but it was enough to make me realise that I could do it. That incident is living proof to me that the secret of rolling under pressure is mostly in the head. However I also remember my last swim… getting tumbled down a shallow creek in California and realising that no one’s roll is perfect. 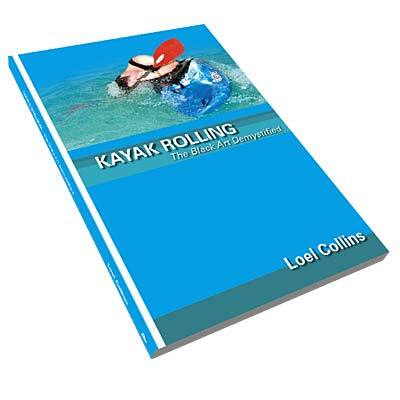 For some the appeal of rolling is that it is perceived as the ultimate skill for the kayaker. For many people this is simply because they’ve had such a hard time trying to master the roll they are convinced that it must be the pinnacle of skill. The truth is that it is often possible to get people to roll very quickly if you push the right buttons, but that it then falls apart once you hit the cold water because the skill isn’t strong enough. People become disillusioned and convinced it’s some kind of black art. I wanted to write a simple book about how to learn to roll and how to deal with any little problems that may arise. Here it is!